Over the years of being a theatregoer, I have had the veritable thrill of getting to visit many different theatres and theatre spaces in London, around the UK and even in New York and some of them have really captured my heart. 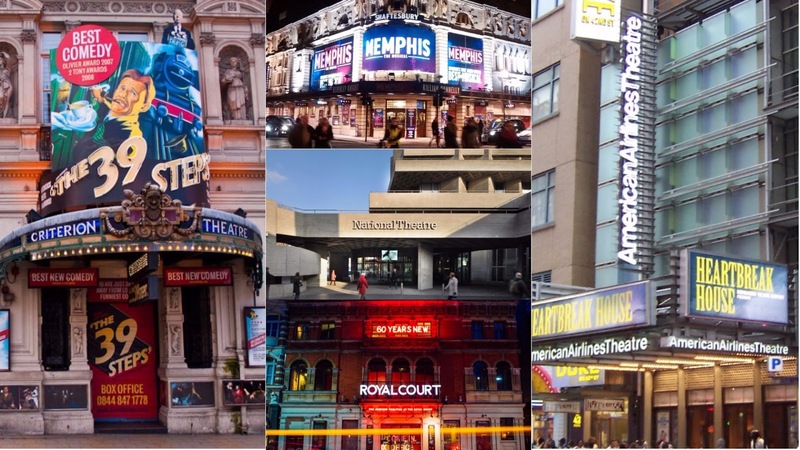 So it was with great pride that I sat down the other night to compile a list of my top 15 favourite theatres I've ever visited, and now I want to share that list with all of you. Despite only going to visit the Oxford Playhouse for the first time last week, it quickly became one of my favourite theatres that I've ever visited. 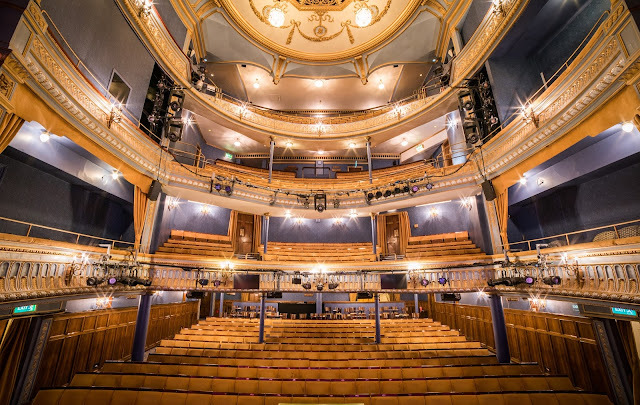 A modern theatre might not be something that appeals to many, but the modern style and shape of this theatre not only makes it comfortable to visit, but it also makes it stand out of the crowd when in the shadow of Oxford's other, much older theatre. This theatre has some wonderful shows, but the design inside is totally hit-and-miss for me depending on what part of the space you're looking at. When looking at the stage, you can't help but notice the small square-shaped crevices in the wall that are the colour of tin and I absolutely hate them, along with the strange coloured ceiling above the grand circle that looks like the sky. I do, however, absolutely adore what the theatre looks like when looking at the bars and the auditorium: the warm, Autumnal tones of yellow, orange and red make for a very inviting experience. This theatre has similar problems to the Savoy in my books. I remember the first time I ever visited the Adelphi back in 2012 to see the revival of Sweeney Todd and I was totally put off by how boring the walls look: they're just plain, stark red! There is something about this (huge) theatre in general though that really appeals to me. Perhaps it's the theatre's location or the lounge spaces, but it's still one of my favourite places to visit in the West End. This is a favourite theatre for a lot of people and I can tell exactly why. I am totally obsessed with the outside of The Old Vic (even if they are trying to modernise that now) and the wonderfully huge bar spaces are inviting, too. They also contrast greatly with the large, classic auditorium space that feels so open and airy, something that a lot of West End theatres don't seem to have. 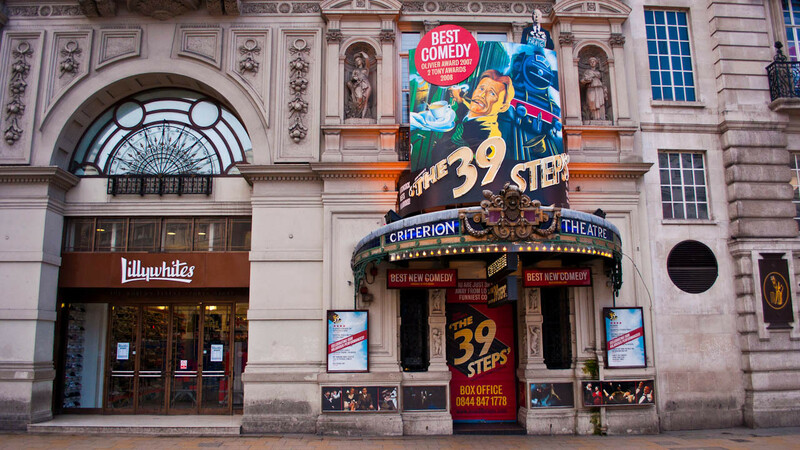 I feel really sorry for the Criterion because I feel like it's a proper underdog in the landscape of great West End theatres. I've only ever visited once and was astounded by how small both the bar area and the auditorium are and while the auditorium might look dated and tacky to some, I find it so quaint that it makes me think of a little doll's house. It's a space with so much potential and I love it for that. This is probably my most visited West End theatre and as a result, I feel like I've really gotten to know the Phoenix as a space. Is it weird to say that I always feel kind of at home whenever I visit there, no matter the show? Perhaps, but that's exactly how I feel. I don't even think there's all too much to say about it as a theatre, but there is something in its charm that really captivates me. This is another very modern theatre but this time, parts of it are integrated with older elements. The auditorium has that same warm and homely feeling as the Savoy does, while the digitalised signage outside the theatre reminds me of places like the New London. It's the entrance to the theatre that really got me though: the walkway up from the box office to the auditorium is like an aeroplane hangar and the walls are lined with information about the Roundabout Theatre Company. It's so cool and I can't get it out of my head ever since I visited there in 2015. Maybe it's because this was the first West End theatre I ever visited, but the Shaftesbury Theatre feels so right to me somehow, a bit like the Phoenix. I love everything about it: the auditorium, the bar areas, the little windows in the box office, the huge signage outside, the location of it on a street corner. The Shaftesbury has everything and I would visit there daily if I could. This is probably the most unique theatre space on this list and that's why I love it so much. When I visited the Circle in the Square in June of 2015 to see Fun Home, I was blown away by this large, commercial Broadway house that was in-the-round. I know that they propose to build a major in-the-round off-West End by 2020, but this was my first taste of something like that and I fell in love. 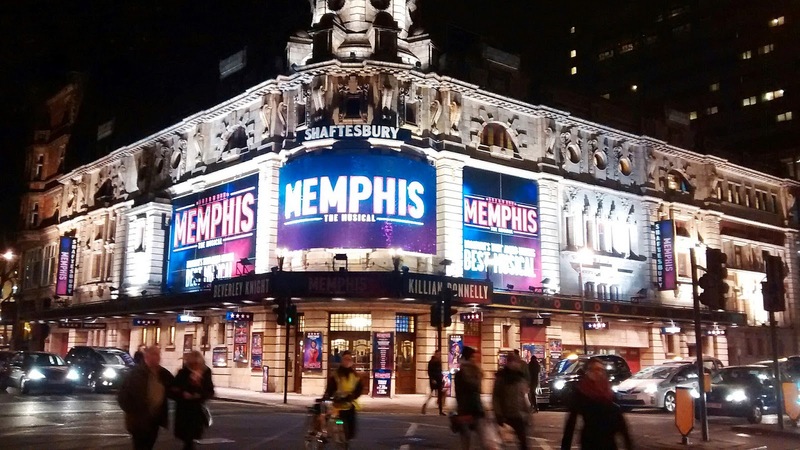 When Miss Saigon ran at the Prince Edward, it became a theatre that started to feel like my home as well and it's a space that is very easy to make that assumption with. 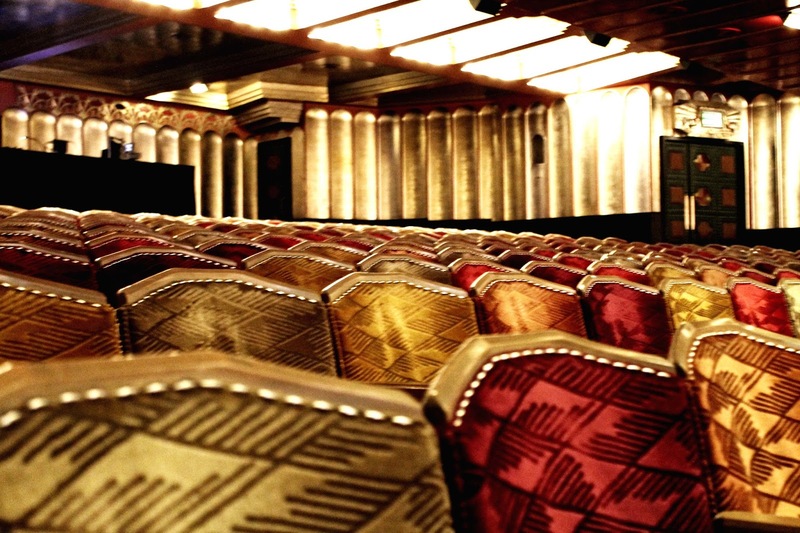 With big, lush carpets lining the bars and that gorgeous red colour scheme that runs throughout, it's an old theatre with a modern revamp that never fails to feel inviting and cosy. I associate the Harold Pinter with being the home to some of my favourite plays I've ever seen: Nice Fish and Oslo and Who's Afraid of Virginia Woolf? The gritty shows that they produce there mirror the gritty environment of the space perfectly: the architecture outside feels angry and the auditorium looks ready for some heavy drama, too. I think it's a wonderful theatre that houses some fantastic shows and is one that I'm always looking forward to heading back to whenever I can. Wyndham's Theatre has always been my favourite West End house since I first visited about five years ago to see The King's Speech. I think it's a very versatile space (on-stage seating for People, Places & Things - lounge seating in the stalls for Lady Day) and no matter where you sit, you're in for a good and comfortable view. I also love the theatre's location and I love the cascading staircase that runs behind the merchandise booth next to the box office. I love Wyndham's! Technically, there are two theatres at the Royal Court, and while I haven't visited upstairs, the downstairs book shop, the cafe and the Jerwood Theatre Downstairs are spaces that I love with every ounce of my heart and soul. It is a place that constantly puts on fantastic, daring and thought-provoking work in a space that is so comfortable and classy, while also being gritty and ready for action. I would live in the Royal Court if I could. ...but if I couldn't live inside the Royal Court, I do know where I'd live instead. I don't even know what I can say about my love for the National Theatre other than that I truly think it is the happiest and best place on planet Earth. 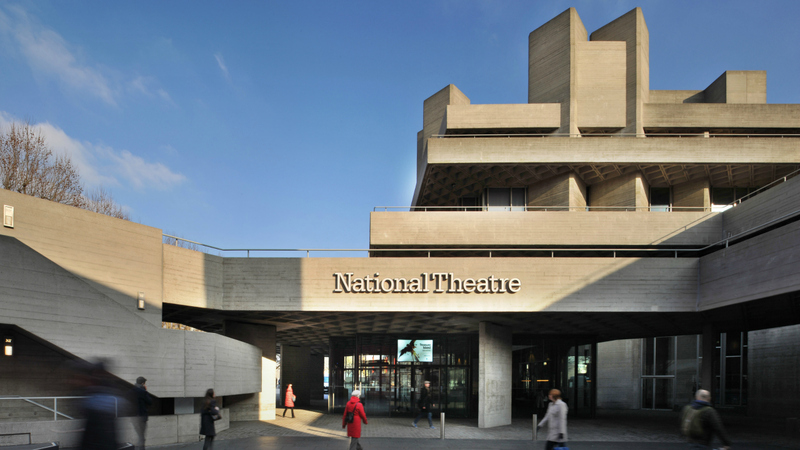 Long may we have the National Theatre, the heart of British theatre.